I entered parenthood with a crib and an epidural. I had never heard of attachment parenting, and was pretty sure the family bed was something that could wreck a marriage. As my baby turns one, and my husband and I celebrate our eighth year of marriage, we happily (and a bit nervously) went out for our first time alone as a couple since her birth, and reflected on the highlights of our year. In addition to watching each other blossom as parents, the way we parent was at the top of both of our lists. I never could have guessed that our style of parenting could be equally important to us as the event of becoming parents. Bringing Dalia into our bed. Not only does she fall asleep faster, and sleep longer and more soundly, but the precious time we have as a family, gazing adoringly at our beautiful baby as she sleeps, or laughing together in the morning, is priceless. Breastfeeding! While it wasn’t clear if I’d be able to at all, and then whether I’d need to supplement forever, at around the two month mark – thanks to cosleeping, in fact – we were finally able to nurse exclusively. From that point on, it’s been invaluable to nurture Dalia both nutritionally and emotionally in my arms. Letting Dalia take the lead on her feedings. Introducing solids has been fun and fulfilling for the whole family, as we let go of our expectations of how a baby should eat, put safe “adult” foods in front of her, and let her show us how and what she wants to eat. Taking our infant to the potty! Reading up on Elimination Communication before Dalia’s birth, I skipped over all the yada yada about building a deep bond through pottying. Who are they fooling, I thought! But boy, knowing when she has to go and keeping our baby dry and happy are way more intimate experiences than we could have guessed. Tossing the disposables! While at first we were afraid of the work – and stigma – of cloth diapering, it’s incredibly gratifying to know we’ve reduced our landfill contributions to about one diaper per day. I’d like to go all the way, and am actively looking for a leak-free overnight cloth diaper, so any recommendations would be appreciated! Babywearing! How wonderful to be able to strap her in snugly under my winter coat and hit the road! Especially with a baby who hates the car and squeals when we take out the stroller, our beloved collection of carriers has increased our closeness and mobility. Beyond the practical benefits, the joys of “spoiling” our baby with all the in arms time we can give has been unmeasurable. Meeting like-minded parents! Since joining a group for AP moms, Dalia and I have met some amazing moms and babies who have paved the way for larger family friendships. Having a like-minded community of friends has helped us to bask in the wonder of parenthood and lean on a haven of supporters when questions or issues arise. While each of these experiences has cracked us wide open for more and more love and closeness in a way we had not anticipated, the sum of the effect of our practices is worth way more than the individual parts. As we close the door on babyhood and enter toddlerhood together, I am confident in my ability to navigate our future as a mom. More importantly, my baby has confidence that she is loved, that her world is stable and secure, and that she can come back to us when she needs to recharge. While AP isn’t for everyone, for those of us who know and love its practices, it can magnify – and multiply – the rewards of the parenting experience. I am grateful we happened upon this path, and I wouldn’t trade it for the world. You would think I had written this. Agree with a whole heart. We didnt even know what AP was 18 months ago and now it drives most of our parenting and lifestyle choices. Thank you for sharing! Thank you Miriam for sharing your first year experiences. Like you, I started off with an epidural and a crib–neither of our kids slept one night in it. It’s wonderful to hear about so many parents who are open to changing their ideas of parenting from what they grew up with or from what seems to be the mainstream. I see our generation as the transition generation from the way our parents parented us to the way that our children will become parents. Great list. My list would be very similar. We use Rump•a•rooz for nighttime diapering. They are pretty great and we’ve gone once for 15 hours with no leaks. Hi Miriam! Thank you for sharing your experiences as a new parent with us. I had never heard of attachment parenting either, and although i intended to give birth without an epidural, it was only because I was worried about myself. Never realized the impact it could have on my little guy. Thank goodness I took a Bradley birthing course and was introduced to all these wonderful ways of parenting. Although the birth of my child resulted in an emergency C-Section, despite of all my preparations, I was able to make it up to my baby and myself by implementing attachment parenting, etc. And along with a friend, we created a website with the objective of empowering moms. I feel that the information given to me by moms like you have changed my life! 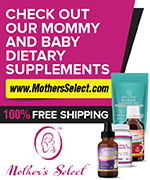 At http://www.milkmommymilk.com we are trying to give back and make it easier for moms to be moms! All the best! I’m sure over the past year you’ve had a chance to try several diapers, so you may already know that this won’t work for your little one, but we were using disposables at night until we moved up a size and started with fuzzibunz. Now we use those at night with a cloth Gdiaper insert (because they are so wonderfully capable of wicking a serious amount of pee away from a bottom with the fleece side and holding onto said pee on the hemp side) on top of the regular fuzzibunz insert. She always wakes up dry (and so is the bed). I think, as with all cloth diapers, the size and shape of your babe’s legs is the determining factor in leaks, and our girl’s got pretty massive thighs, so the elastic around the leg fits squarely in one of her rolls. Anyway, one disposable a day isn’t bad! My little one also has massive thighs, so I’ll give this strategy a try! We’ve only tried a couple of options, and fuzzibunz isn’t on the list. Thank you!! Thanks for your posts! I also started out m parenting journey with a crib that later on became a clothes bin. It has taken me having 4 kids to do all of the things you listed like using cloth diapers and doing elimation communication. I view parenting as something that is always evolving and I hope I am making changes that will be better my family. Thank you so much for this post. I, too, started out with an epidural (ended in a c-section), a crib, and the daily stroller ride and then discovered the joys of AP a few months after baby was born. It’s amazing how much AP has helped me to feel confident as a parent and how much it has helped me to absolutely LOVE being a parent. Thanks for the post! I love how many of us started out intending to parent the “mainstream” way and ended up AP! I’d be interested to hear how you found AP, for those of you who also started out with “an epidural and a crib” or the equivalent. I learned about AP at a DiaperFreeBaby meeting! Ironically, I heard about AP through reading a book that a friend recommended–Babywise. BOOOOO! My initial thoughts were, “This AP thing sounds awesome and awful at the same time.” After a few weeks of feeling like Babywise was definitely NOT the parenting style for my family, I checked out AP and we’ve been adopting principles ever since. Those first few weeks of wondering why my baby didn’t seem to conform to Babywise were spent with me crying, worrying, and even suffering from PPD. After adopting AP as my parenting style, I felt so confident in my parenting and the PPD symptoms have mostly subsided. Really, AP has been a lifesaver for me, my baby, and my entire family. Gdiapers work great for us for overnights! Our little one is 7 months old and we’ve never had an issue! love this! 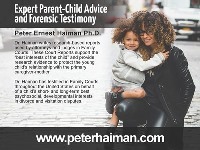 i’ve been confidently using intuition and was so pleased to learn there is scientific research to back up my parenting style – AND other like-minded parents out there.